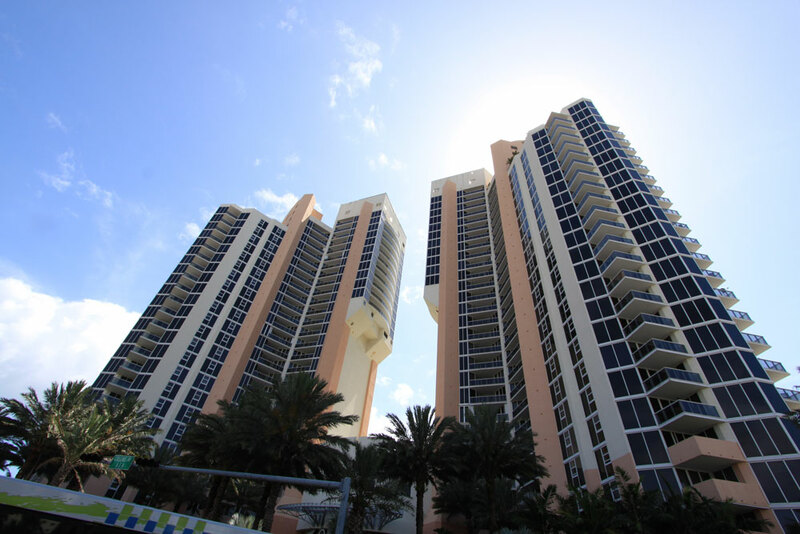 The two 30-story towers that constitute this property are situated on their own beachfront. Immediately in front of the facility, youll find a 700 foot stretch of white sand that is the private property of the condos. The property features views of both the bay and the Atlantic Ocean. The Miami cityscape is also visible from this property. There are several different options in residential units available at Ocean One, including penthouses and 2- and 3-bedroom units. This property was designed by the Sieger Architectural Partnership. There are 241 units in total at this property. There is security at this property around the clock. There is also a concierge service that can provide advice about nearby attractions. The Ocean One condominiums are located on an over 6-acre site that includes a great deal of landscaping. There are a host of recreational facilities located on the property. Residents will have access to a swimming pool and a spa, as well as a fitness center that offers a broad choice of the newest workout equipment. There is a media room at this condominium and the staff can handle package and mail reception on behalf of residents. The residences at Ocean One feature elegant designs. Within the bathrooms, there is marble flooring, whether it is the master bath or the guest bath. In the case of the master baths, each are appointed with a whirlpool tub and a bidet. There is also a shower in each unit, made fully of marble. The powder rooms are equipped with showers or shower/tub combo units. There are vanity countertops in the powder rooms, as well, and they all feature pedestal sinks. Both the master baths and powder rooms feature elongated water closets that offer privacy.